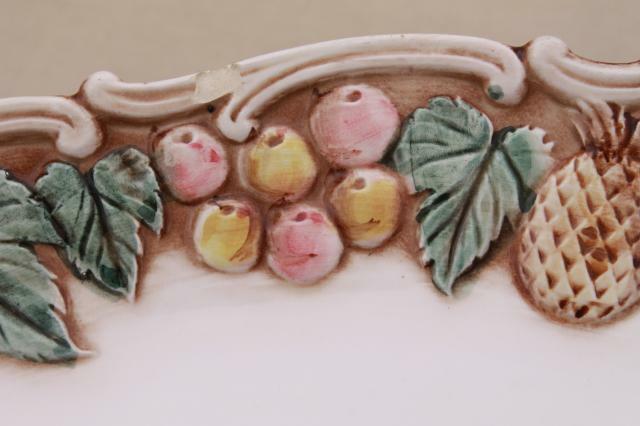 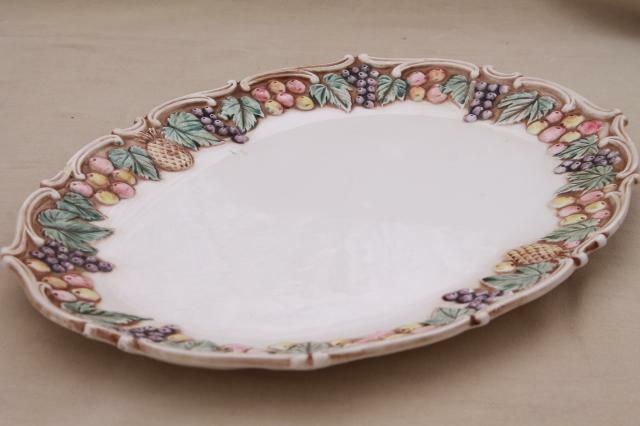 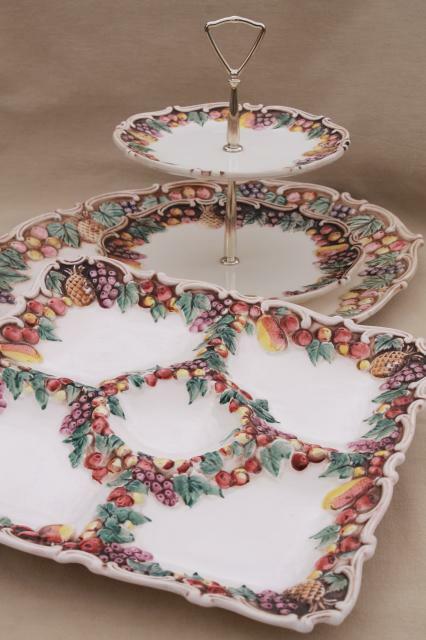 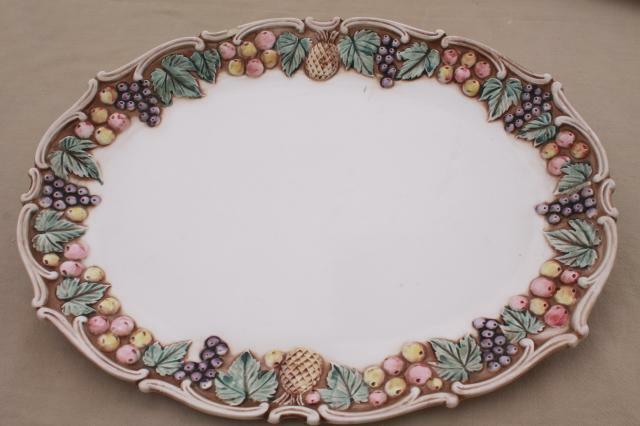 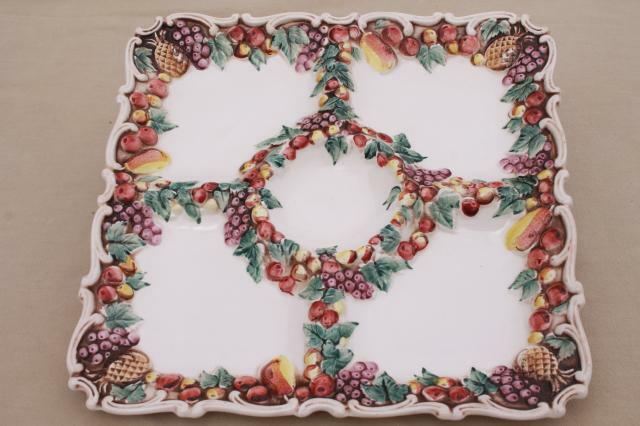 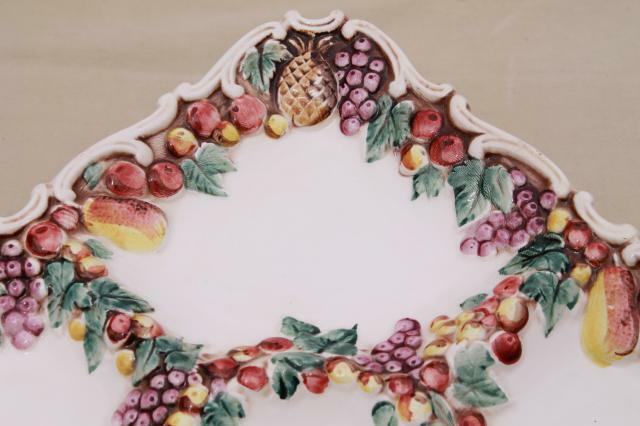 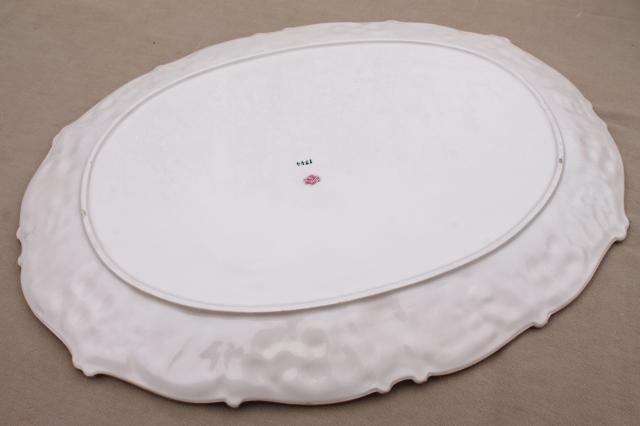 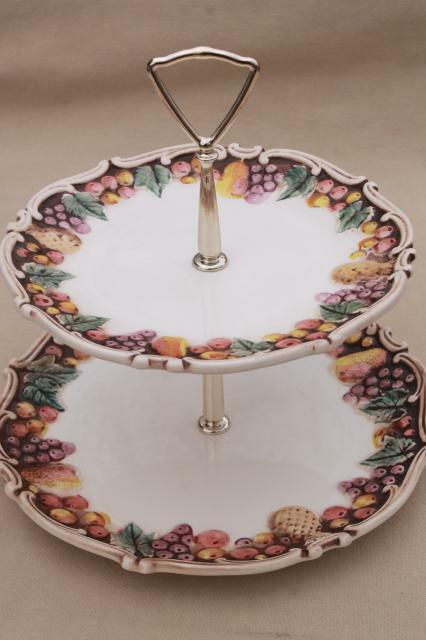 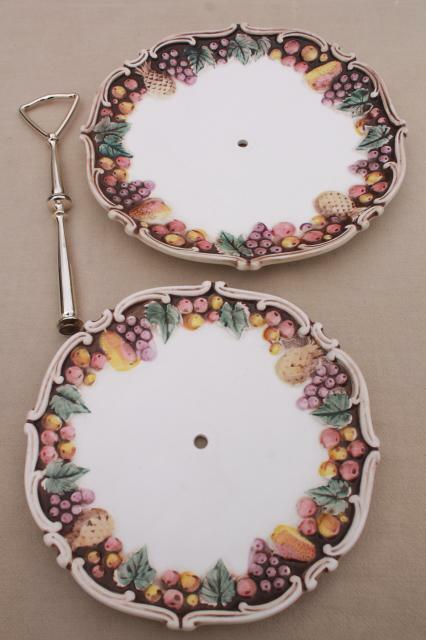 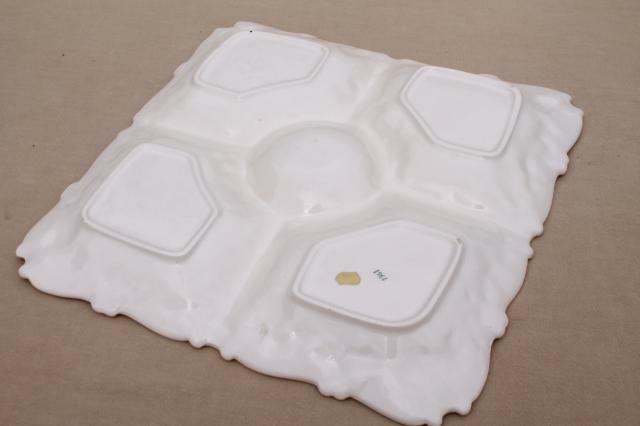 Della Robbia pattern Lefton china serveware set - a tiered plate (plates 8 1/2" and 10" diameter), a large tray or platter (18 1/2" long) and a square relish tray (13" x 13"). 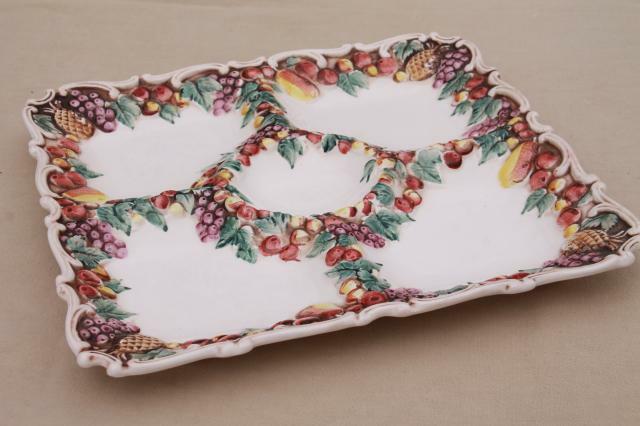 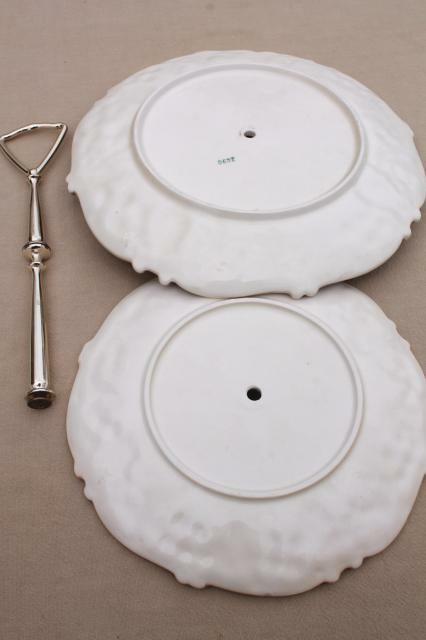 There's a chip to the platter tray and a chip to the bottom of the relish tray - sounds worse than it looks, these are in very good condition overall. 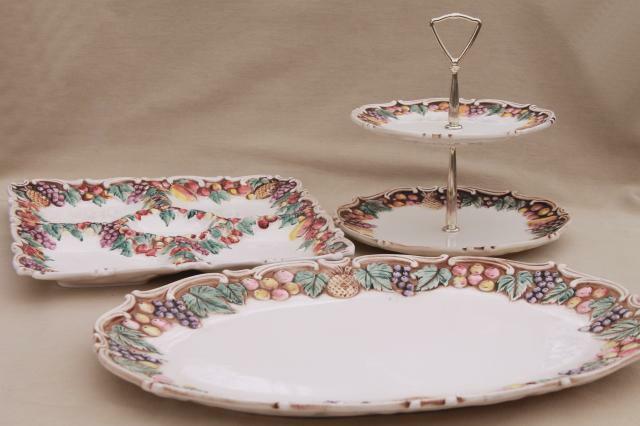 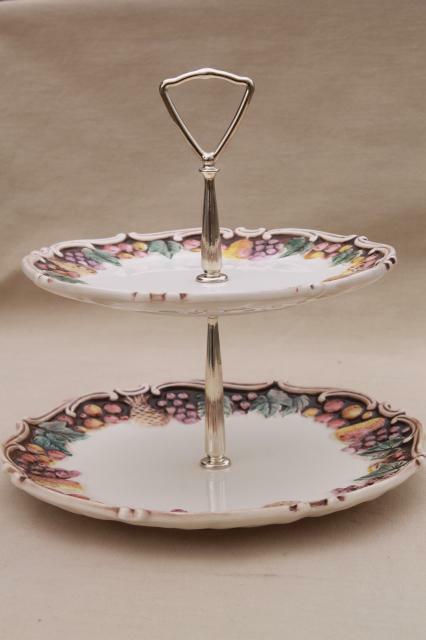 Lovely for Thanksgiving or Christmas china serving pieces!